Irma Stern was born on 2 October 1894 at Schweizer-Reneke, in the Transvaal to German Jewish parents. When Schweizer-Reneke was occupied by the British during the Anglo-Boer War in 1900, her father and uncle were detained by the British, and the family left for Germany upon their release. In her early years Stern and her family travelled frequently between Berlin, the populous capital of Germany at that time, and small rural communities in South Africa. She would continue to travel extensively in Europe and particularly Africa throughout her life, collecting artefacts and looking for new experiences and subject matter for her paintings. Irma Stern completed her formal schooling and art studies in Germany, only returning to South Africa in 1920. She began her formal art studies at the Weimar Academy in 1913, and later moved to Berlin to study under Martin Brandenburg who introduced her to the neo-Impressionist techniques and theories. She decided to terminate her formal studies in 1916, after Brandenburg rejected ‘The Eternal Child’ - the painting she considered her first independent work. It was inspired by a pale faced malnourished girl she saw on a tram during the First World War - an image that inspired her to express her emotional response to the suffering and agony of war in her personal style, marking the turning point of her career. In 1917 she was introduced to Max Pechstein, an important member of ‘Die Brücke’ and a leader in the German Expressionist movements at the time. He was to be Stern’s mentor and had a strong formative influence on her style and artistic philosophy, helping her to express her intense emotions in a personal visual language. An important philosophy of the German Expressionists and Modernists that encouraged and inspired Irma, was the idea of turning to nature and ‘primitive’ man as the authentic source of artistic expression. Her African heritage became far more important to her and she would through her later travels explore her personal myth of exotic Africa as ‘Paradise’. In 1918 she was a founder member of the ‘November Grüppe’. She participated in various exhibitions with the ‘Freie Sezession’ in Berlin during 1918 and 1919, and held her first solo exhibition at the Fritz Gurlitt Gallery in 1919. When Irma Stern returned to South Africa in 1920, she was in terms of her artistic outlook and influences, a German Expressionist. She journeyed to Swaziland, Mozambique, Natal and Pondoland during the early 1920’s in search of ‘primitives’ in harmony with nature. She was a prolific painter and used expressive brushstrokes, thick paint and vivid colour to show her, often idealised, view of the world. In her portraits of the African peoples she painted, she identified with the spiritual and emotional beauty she encountered, finding artistic freedom in her emotional and sensual response. Her subject matter included still life compositions, landscapes and portraits from the different regions she visited, executed in a variety of media ranging from oils to watercolour, gouache and charcoal. Irma Stern’s first solo exhibition in South Africa was held in Cape Town in February 1922 at Ashbey’s Art Gallery. Her modern style was very controversial, given the isolation and conservatism of the South African art scene at the time. The public and critics did not respond favourably and the police were even called in to investigate charges of immorality. 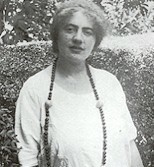 She returned to Europe in 1923 and 1924, taking part in various exhibitions. With her next solo exhibition at Ashbey’s Gallery in Cape Town in 1925, the Cape Town critics, led by Strat Caldecott, were beginning to react more favourably to her painting. Irma Stern married Dr Johannes Prinz, her former tutor, in 1926, and acquired ‘the Firs’ (now the Irma Stern Museum) in 1927. She often returned to Europe between 1926 and 1933 to exhibit in various cities including Berlin, Amsterdam, The Hague, Breslau, and Paris. In 1927 she won the Prix d’Honneur at the Bordeaux International exhibition. She was elected to represent South Africa on the ‘Empire Art Exhibition’ in London in 1929. Her to marriage to Prinz was never truly happy and they divorced in 1934. Stern refused to travel or exhibit in Germany between 1933 and 1945. Instead, she undertook several journeys, some for several months, into Africa. She usually found herself reflected in the people and the experiences in these foreign exotic places. Her trips included destinations like Dakar, Senegal, in 1937 and 1938; Zanzibar in 1939 and 1945; the Congo in 1942 – holding a successful exhibition in Elizabethville afterwards - and again in 1946 and 1955. During her travels she collected artefacts for her collection and subject matter for her portraits and still life paintings. Stern published two books about her travels – one on the Congo (1943) and the other on Zanzibar (1947). By the mid 1940’s Stern was considered an established artist and participated in exhibitions all over South Africa and Europe from 1946 until 1965. Irma Stern is considered to be one of South Africa’s most important artists who achieved both national and international acclaim during her lifetime. She introduced the highly conservative South African society to Modernism during the 1920’s and managed to shift the prevailing perceptions about art over the following four decades. She died on 23 August 1966 in Cape Town at the age of 71. REMEMBERING IRMA. Irma Stern-a memoir with letters.